ADFP Management is the second largest Pizza Hut franchisee's in the United States and in the world! Incorporated in 1998, we have grown from operating 20 restaurants to 280, and continue to grow today. This growth is no accident. 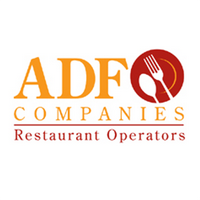 ADF has a strong leadership team of over 100 years combined of multi-unit restaurant operational and developmental experience. Our success would not be possible without our employees. We strongly believe in recognizing our people for what they do and instilling a teamwork-based customer-centric culture. We put our customers first, focusing on exceptional service and high quality products, served in a clean and inviting atmosphere.